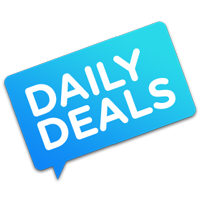 Are Daily Deal and Voucher Sites Still Useful to Business? Last March, the first ever European Daily Deals Summit was held and it was found that the UK has gone a little bargain crazy. In just 6 months, consumers spent £3bn through deal sites such as Groupon. Add to this the 28% rise in visitors to such sites over the course of a year and consider the current economic climate, and it’s no surprise that people want to find products and services as cheaply as possible. LivingSocial UK claimed that their voucher sales almost doubled last year, according to a report from The Drum. The figures show that offering deals to customers can have a great impact on business in a couple of ways. For example, restaurants are no longer scrabbling to fill mid-week seats thanks to deals. Businesses can reach new customers through offering deals and it also gives them the opportunity to build up their customer database for future targeting with email and social campaigns. This means that vouchers and deals work really well for small businesses, if they do it properly, as it gives them a chance to further promote their brand and gain business they otherwise probably wouldn’t. However, the key take away phrase here is “if they do it properly”, as a badly planned and implemented discount campaign can have far reaching consequences if a business fails to do its research. This means it’s necessary to think about the ramifications of such a campaign before taking action. Remember when Groupon got into trouble with the Office of Fair Trading last year? That was because they oversold vouchers for businesses who could ill afford to honour them and it was also found that they breached consumer protection laws. For businesses that are considering using voucher sites, something like this could mean bankruptcy, so it’s wise to check out the contract and the deal site before taking the plunge. According to a survey carried out by Cooper Murphy, a huge 82% of Groupon business customers were not happy with customer repeat business, 50% said they wouldn’t be using the site again but conversely, 65% said that using Groupon had been profitable. Where do we stand in 2013? Despite some bad press, consumers love daily deal and voucher sites and according to a recent survey on US consumers, 74% of them are more sensitive to price this year than the year before. 80% said that they looked for deals, compared to just 69% in 2012 and 46% said that they used smartphones to search for deals, as opposed to just 11% in 2012. Unsurprisingly, price was found to be the biggest driving factor when it came to what influenced their purchasing decisions. So what does all of this mean for businesses? Mostly that consumers are still very interested in finding special offers and with a little research, businesses can still boom from offering such deals through a variety of online mediums. Marketing wise, it would seem silly not to do this through Facebook business pages, but finding a reputable site that can be worked with is also necessary. Whilst of course such deals and offers can and should be made through the company website and social channels, these are not as likely to gain attention as when a third-party site is used. Need help with your digital marketing? Learn more about MySocialAgency services here.